Last September we hosted our most popular solutions webinar of all time on the topic of Address Standardization. Address data is central to every department and serves as a core function of local government. 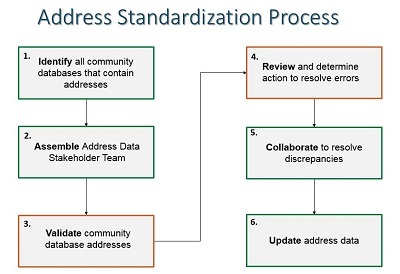 Creating an address standard and roles for governing your address data is the best way to ensure everyone is on the same page. This webinar will demonstrate how community staff came together to assess and clean-up address data. We have also developed a new tool to help compare different address sources to our GIS addresses. This tool pin points exactly if and how addresses differ. Several communities have been inspired by the September webinar and have taken tremendous strides in standardizing, comparing and reviewing their address data and they are excited to share their stories. Workflows to help clean existing data issues in your enterprise systems.